A photograph of South Indian actor Nithya Menen hugging a man has gone viral. The photo received many congratulatory messages. This is what the actor has to say. Bengaluru: A photo of OK Kanmani, Bangalore Days actor Nithya Menen with the caption "Friends, love and happiness" has gone viral. Is Nithya in love and ready for commitment? The photo was uploaded on her official Instagram page. Soon after it was published, hundreds of messages started pouring congratulating the couple. Some wrote "Nithya, you have broken my heart" while others questioned "Who is this man?" The man was tagged as Oliver Calhoun. But his Instagram account did not seem to get updated. As the number of messages congratulating the actor increased, she had to give a clarification: For those who are asking....this is Oliver... a friend and a little brother of mine...yes I said little...I think he is about 18 years old. Nithya Menen is a popular name in South Indian film industry. 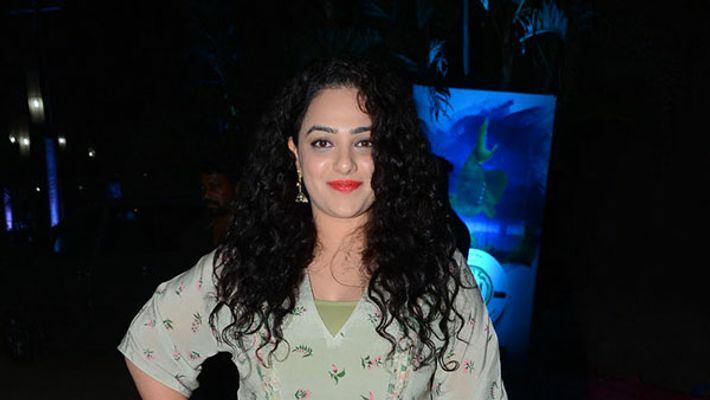 Brought up in Bengaluru, Nithya has acted in a number of Kannada films including Josh, Myna, and the most popular being Kotigobba 2 opposite Sudeep. Her performance in Mani Rathnam movie O Kadhal Kanmani, Janata Garage, NTR biopic and also Bangalore Days has been appreciated. She is currently acting in Hindi film Mission Mangal starring Akshay Kumar.